APCC demanded immediate action against Capital SP within 48 hours for using unparliamentary words uttered to senior Mahila congress leaders. 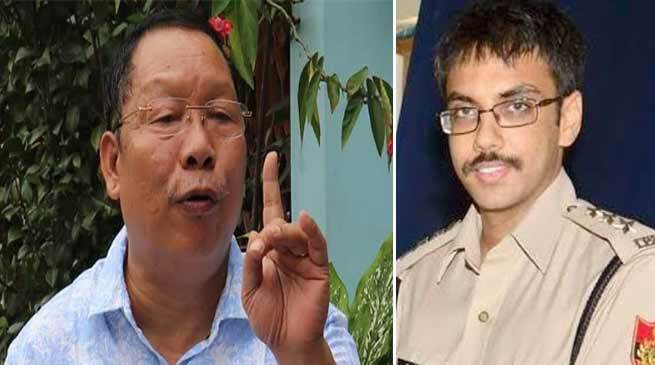 Arunachal Pradesh Congress Committee (APCC) today demanded immediate action against Capital Superintendent of Police within 48 hours for his rude behaviour and unparliamentary words uttered to senior Mahila congress leaders. APCC President Takam Sanjoy said that the act of Capital SP M Harsha Vardhan was uncalled for his rude behaviour, arrogant and utterance of unparliamentary words used to the senior Mahila Congress leaders who were peacefully participating in dharna in C Sector on roadside of NH-415 outside a Petrol Pump. Sanjoy also complaint about the rash driving by Capital SP, when he was about to hit the congress workers who were sitting on dharna by his car. ” we do not except his arrogant and the word he has uttered to the women members of the congress party and we have written a complaint to Director General of Police (DGP) and we shall wait for next 48 hours and will take a decision for democratic movement if do not tender public apology and at the same time action need to be taken from the government side after conducting an enquiry” Sanjoy said. We have send a report against the said SP to All India Congress Committee (AICC) , sanjoy informed. Such words are not used in our tribal society, he added.